I am Eric Sonstroem at the English Department at Univeristy of the Pacific in Stockton California. Feel free to browse this page, or use the links at the top of the page to find what you are looking for. The search button in the upper right might help you too. I am currently putting together a self-designed major and post-graduate certification program in Content Engineering for students at the University of the Pacific. 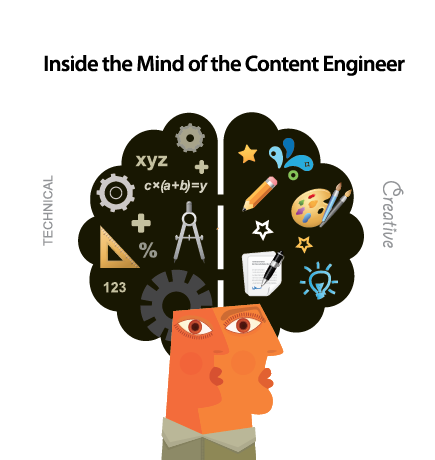 The "hub" of this major will be the pioneering course called Content Engineering. The major will combine classes from the English and Communication departments, from the Business School, and from the Engineering school. If you are a Pacific student and interested in exploring this as a self-designed major or minor, please contact me. For my Content Engineering class, I've required my students to create content-rich blogs about topics they enjoy, with the aim of producing commercially successful websites that target a specific market and generate real traffic. I knew this would be a lot of work for the students, so I committed myself do doing the same assignment along with them. The result was The Gweilo's Guide to Hong Kong Movies, a film review site for a non-Chinese perspective on Chinese films. Leave comments, share links, etc. The assignment my students (and I) are doing can be found here. The hard sciences and literature are often thought of as two entirely separate academic domains, as two entirely separate practices. This is far from the truth. This class will bridge that gap, as it explores the intersections of science and literature within the realm of human culture that they share. This is an ongoing project I began at Georgia Tech with Ron Broglio in 2001. In the Summer of 2010 I was in south western Turkey, teaching film making to Turkish and international teenagers at Afaçan Youth Camp. It was a project organized by Gençtur, in coordination with Volunteers for Peace. Congratulations to all of our oustanding presenters who made this a very successful conference! I am one of the people who coordinated this undergraduate conference on the campus of the University of the Pacific. It was a one-day conference, and it took place on September 25, 2010. The official website is here. Get in touch with me if you have any issues with your schedule. Your schedule and other tools are available through Inside Pacific. Contact me if you plan to make any changes to your schedule, or if you have any questions. For a richer list, click on Classes. This website and its contents were designed and created by Eric Sonstroem, 2018.